Electron Beam Cost Reductions Material Waste — Energy Sciences, Inc.
Finding new and innovative ways to reduce costs is just as important an objective to any executive as is optimizing revenues and profitability. In a difficult economic climate, reducing costs becomes even more important. 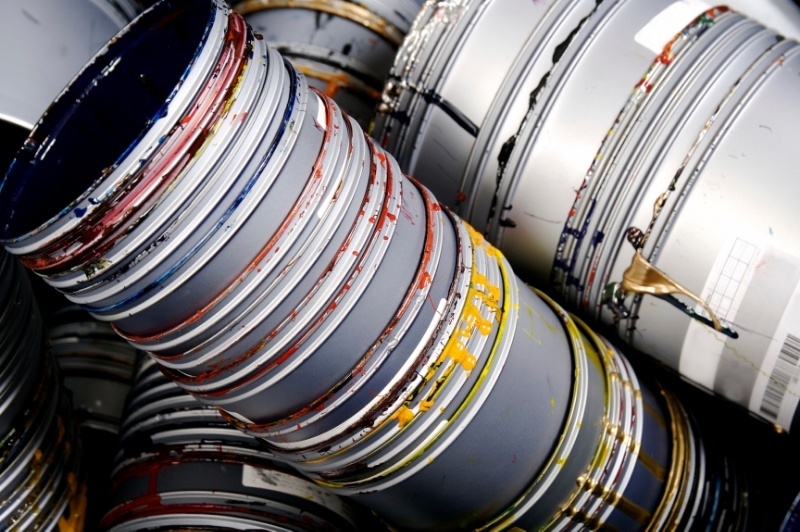 In the world of printing, reducing costs all too frequently also means diminishing quality. There is one cost savings measure, however, that is available to printers that does not compromise quality; in fact, it provides unsurpassed print quality. If you have ever had a close look at the cost of wasted materials through your print production process, you know how significant they can be. The implementation of an electron beam system can lead to some important cost savings by achieving a lower rate of wasted materials. Since ebeam ink is 100% solid, it provides excellent dot control. By achieving a smaller and more consistent print dot, it allows the use of an expanded gamut inks system, which reduces the number of colors used and the frequency of ink color changes. That means less downtime and greater productivity and consistency. Furthermore, electron beam inks can be left on the press between runs, shifts and even over the weekend. You should expect to see your ink consumption get reduced by approximately 2.5 times with an EB system compared to conventional inks. This is achieved thanks to its higher solid content and ink formulation that allow for higher pigment loading. Unlike UV coating, which is limited to the surface, the electron beam can penetrate up to 200 μm beneath the surface of a coating layer which enables an instant full through cure for very thick coating layers delivering good substrate adhesion. The color of the coding or substrate does not affect or inhibit EB energy absorption. EB energy penetrates regardless of the reflectivity of the surface, whereas UV energy can reflect off the surface. Additionally, electrons have the ability to completely cure at any web speed or width. Electrons have the benefit of not damaging moisture sensitive substrates or thin extensible films. Since there is no need for thermal drying, the result is a relatively cool coating process, suitable for heat sensitive substrates. Finally, the stable nature of electron beam coatings avoids problems that often occur in the formation, transportation or storage of packaging. It's easy to understand how these many factors combine to deliver greater efficiencies in the printing process and therefore reduce the overall waste of materials. The potential savings could make it one of the most effective cost cutting measures a printer can implement. If your business is ready to start implementing electron technologies to help reduce overall costs, please feel free to contact us.